Like a flash of lightning, Paris Couture week has come and gone, but the clothes presented over the four days will echo throughout the year. Though the styles themselves are rather unobtainable for the average shopper, the trends and styles that debuted in Paris this week will dictate many of the trends that trickle down into brands that sell at friendlier price points. One look I noticed at a few of the presentations? The face veil. 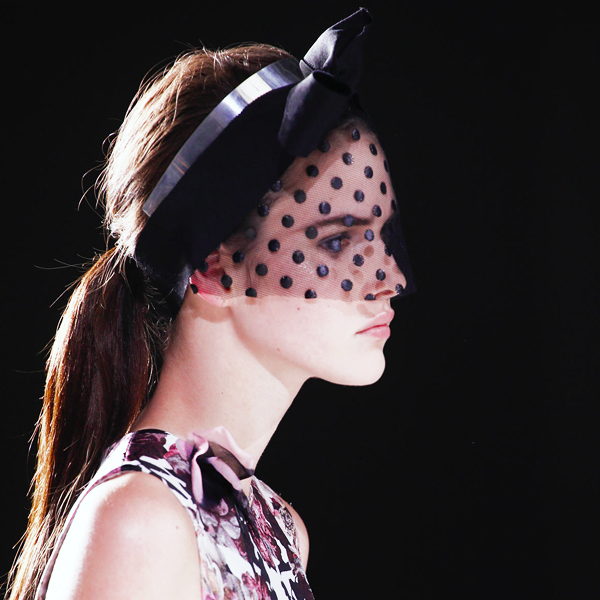 Usually black, netted, and cut at the nose, the chic headwear (facewear?) accessories are vestiges of a bygone era when women really got glammed up and wore way more hair accessories than they do now. Face veils (veil masks? I'm not even too sure on what to call them) remind me of women in the forties smoking long, slender cigarettes and wearing black gloves and possibly plotting the murders of their husbands. Very noir, and very fashionable. 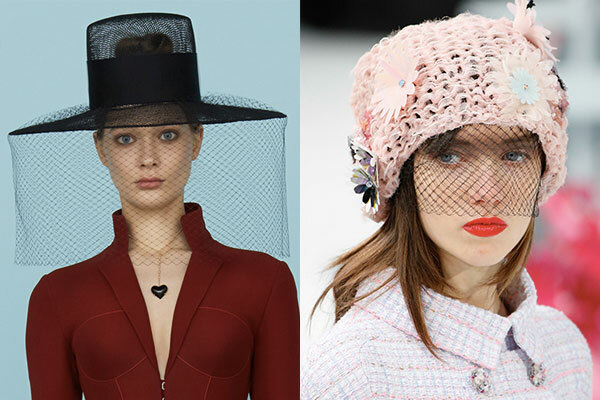 Chanel, Giambattista Valli, and Ulyana Sergeenko all featured black netted veils in their couture collections. I must admit that it looks cool, mysterious, and sophisticated, though I do wonder about the tan lines those could create. What do you think? 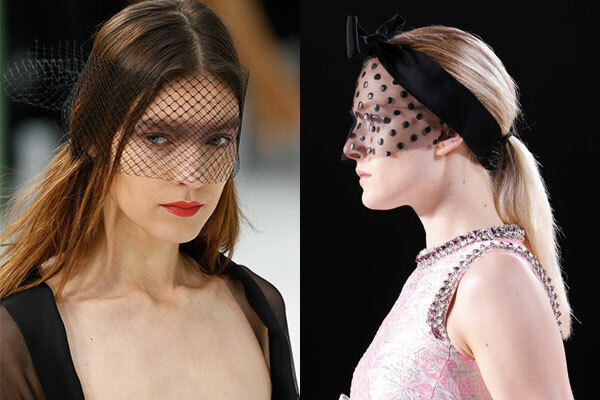 Would you ever wear a netted face veil?